A photo of a black lab playing fetch in Deep Lake, which is located on the out-skirts of Enumclaw, Washington. 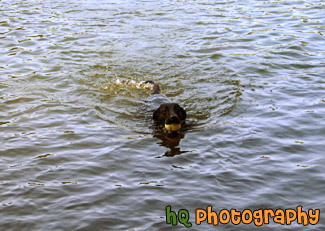 Black labs love to play in water and retreive balls or toys, especially this black lab. Sometimes they love to play so much that they forget they are tired!